Touch can be a powerful healing tool in psychotherapy. With skillful application, touch can help clients go beyond their mind’s stories and enable them to become much more in touch with the wisdom of their body. Touch can be used to access body memories and directly experience unconscious patterns -patterns that can be hard to identify, even for sophisticated, mindful people. The Tamura Method was developed by Wynn Tamura over his 40 in practice as a counselor and bodyworker using direct touch and energetic bodywork. He brings a revolutionary approach to working with clients’ wounding in a way that facilitates the fast release of past wounding, enabling them to become more present, open, and joyfully in touch with their own unique gifts and strengths. The Tamura Method is unique in its emphasis on tracking the body’s muscular patterns as well as the energetic blocks that originates in the body-mind wounding. In this method, the client has a direct, visceral experience of their past wounding while simultaneously being held in a loving relationship. The result is a powerful and effective transformation process. The Tamura Method emphasizes the practitioner’s awareness of their own energy and presence, honing their ability to be open-hearted and highly attuned to their client. By using The Tamura Method, practitioners can develop valuable skills for diagnosing and connecting to their clients in a deeper and more effective way. Over three weekends, this training will provide the foundations of using touch in therapy based on the Tamura Method of psycho-energetic touch. Over the course of the training, participants will gain knowledge of the Tamura Method’s model and how to use it to read the client’s somatic and energetic patterns. Participants will grow their skill in somatic and energetic touch, while developing the ability to focus on being present, open-hearted, and intuitive when working with clients. Who it’s for: This is an advanced training for psychotherapists and bodyworkers who have prior experience in somatic psychotherapy. Participants must have prior experience combining body awareness and talk therapy in their practice. The Tamura Method’s model of two mind-body systems: the adult and the wounded child. Importance of using the body system for healing, and how it differs from mind/talk based systems. Basics of energy work: how to feel, send, and receive energy. Diagnostic tools for assessing emotional wounding and how it manifests somatically in the client. Tracking client’s muscular and energetic patterns. Using energy work to regulate and stimulate emotional states. Applying the principles of energetic touch to connect with and heal clients. Using energy work to connect clients with, and heal, their wounded child. Essential tools for mindfully forging a loving, present connection with clients. Teaching clients to become more embodied. Ethics of touch, and the skills necessary for including it in therapeutic practice. This three weekend course will run from April to June, 2019. Meeting dates are: April 12th-14th, May 17th-19th, June 7th-9th. Fridays 12:30pm-5:30pm, Saturdays 9:30am to 5:30pm, and Sundays 9:30am to 4:30pm. Cost: $2050. $150 early registration discount if paid by March 1st, 2019. Cancellation: Full refund less $100 if cancelled by March 1st, no refund afterwards. CEUs: CEUs will be provided to Marriage and Family Therapists for a small fee. To Apply or for More Information: Email tamuramethodtraining@gmail.com . Please include your contact information, describe any relevant professional background, and include what your interests are for this training. 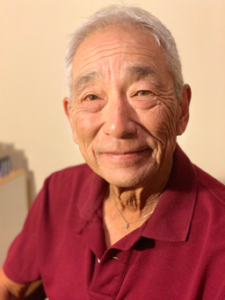 Wynn Tamura: Wynn developed the Tamura Method over the course of his 40 years in practice, providing a blend of energy focused counseling and bodywork. Over the years, many of his clients were psychotherapists who wanted to go beyond “talk therapy” in order to create a deeper transformation. Wynn developed his unique style of energy bodywork blending Eastern and Western healing modalities. In addition to his private practice, Wynn spent several years several years as head of somatic energy work in an alternative healing clinic, which combined different forms of psychotherapy, Chinese, and Western medicine. Wynn draws from his study of Psycho-Physical Integration (Trager), martial arts, psychology, Zen Buddhism, and Taoism. He has also been a Trager practitioner since the early 1980’s. Wynn retired in 2012 and continues to consult and teach his healing art: the Tamura Method. 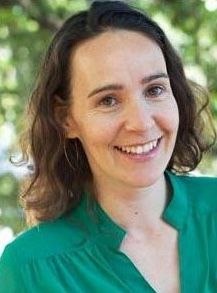 Gal Szekely: Gal teaches Hakomi mindfulness-based somatic therapy. He is the founder of The Couples Center, a Bay Area organization dedicated to helping people create thriving relationships. 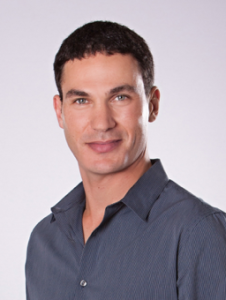 He leads workshops and trainings for therapists and the public, and is an adjunct faculty at CIIS University. Gal holds an MA in counseling from CIIS University and an MA in social psychology from Tel Aviv University. Talia Abraham: Talia is a psychotherapist in private practice who works with individuals, couples and groups. Her approach is grounded in the gateways of the heart, and influenced by depth work, relational psychology, consciousness and energetic-somatic touch. In her practice she continuously weaves between different traditions and approaches of mind, body and spirit. She is a graduate of the California Institute of Integral Studies with a Master’s degree in Integral Psychology.